Movement Mortgage is the latest of many mortgage lenders to offer a zero down option for prospective home buyers, referred to as the Mortgage Assistance Program, or MAP. If you haven’t heard of Movement Mortgage, know that they’re a rapidly growing direct mortgage lender based out of Fort Mill, South Carolina, founded back in 2008. They’re a nonbank, meaning they don’t collect deposits and pay interest like other big banks such as Wells Fargo or Chase. However, the company recently purchased Danville, Virginia-based First State Bank, which they’ve morphed into Movement Bank. So it’s possible that the ultimate game plan is to make Movement Mortgage a depository institution going forward. What’s interesting about the company is they were founded during the housing crisis, basically right around the time home prices had begun to fall after peaking a year or two earlier. Their CEO is Casey Crawford, who played tight end for the Carolina Panthers and Tampa Bay Buccaneers, and won a Super Bowl with the latter. So they’ve got a certain cachet. They do about $13 billion in annual home loan volume and are now licensed in 49 states (the latest being Hawaii) with some 3,500 employees scattered across 650 branches. Movement Mortgage recently expanded in the Pacific Northwest and Mountain West thanks to their acquisition of the retail lending operations of Eagle Home Mortgage, LLC. The company will gain an additional 230 employees and 35 branches via the move, which should push the total number of offices close to 700 nationwide. 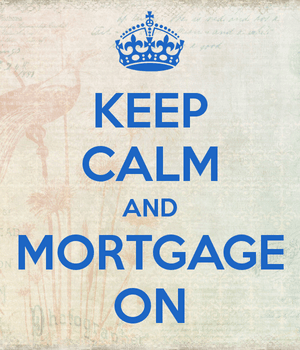 What Does Movement Mortgage Offer? Aside from the typical home loan offerings, including conforming loans and government loans like FHA, USDA, and VA loans, Movement recently launched a zero down loan option called MAP. Like others before it, the MAP will rely on a 3% grant that doesn’t need to be paid back by the borrower. It combines that 3% grant with a 97% LTV mortgage backed by Fannie Mae or Freddie Mac, presumably. I just know it’s conventional financing, not FHA or some other government stuff. This is similar to the Quicken Loans 1% down option, though instead of a 2% grant, you get 3%. Seeing that you don’t need to pay it back, you might as well get the full 3%, eh? Three other big banks offering zero down financing include BBVA Compass with their HOME loan program, BancorpSouth with their Right@Home loan program, and Fifth Third with their Down Payment Assistance Program. What’s becoming increasingly clear is that lenders are accommodating those with little or nothing set aside for down payment, a top concern for would-be buyers. It’s a little frightening given home prices have ascended back to old heights, and in some cases, new heights. But at least underwriting is, well, actually being conducted these days. As you might expect, there are some rules associated with Movement Mortgage’s MAP, perhaps the most important that you be a first-time home buyer. That tends to mean no ownership in the past three years. Sorry investors. Additionally, Movement notes that you need to meet certain income and asset criteria, which are apparently based on need and median limits in the area you wish to purchase. Other than that, it appears to be pretty straightforward and probably based on Fannie and Freddie’s flexible 97% LTV underwriting guidelines, which may allow credit scores as low as 620. As far as property type, you’re likely looking at single-unit principal residences only, including condos. And as noted, you don’t need a down payment thanks to that 3% grant. Movement Mortgage says it doesn’t need to be repaid, nor does it result in a second lien or promissory note. But I assume there is some requirement to stay in the property (or at least the mortgage) for some reasonable period of time to prevent flipping. It’s looks like you’ll also be on the hook for mortgage insurance, because as I’ve said before, if you don’t put down 20%, you’re paying PMI. In terms of mortgage rates, you might get stuck with a higher-than-market rate because of the flexible financing terms, though it could still be quite competitive. The only way to know for sure is to comparison shop. There’s also mention of benefiting from homeownership education, so it sounds like you might need to take a course to qualify for the zero down financing as well. Of course, there’s no harm in educating yourself on homeownership. The program also comes with voluntary job-loss insurance coverage, assuming you aren’t self-employed. This benefit covers as many as six monthly mortgage payments due to involuntary unemployment. The maximum benefit is $1,500 per month, or $9,000 total over the coverage period. Movement Mortgage is licensed in 49 states, meaning there’s a good chance you’ll be able to work with them. Aside from this new program, they also offer VA, FHA, USDA, home equity, and renovation loans. Founded in 2008, right after/during the housing crisis, they mustered $7.83 billion in home loan volume in 2015, which is roughly one in every 75 home purchases in the United States. Their goal is to underwrite and process 70% of their loans in just seven business days with the help of their digital EasyApp experience. While they’re a relatively new player in the mortgage space, they seem to be appealing to the youth with their technology and energy. Heck, their CEO Casey Crawford just turned 40, so it’s clear they’re going to do well with Millennials and Generation Z. Their EasyApp is designed to let borrowers complete their loan application on just about any device, and they’ve got the technology in place to link bank accounts and other financials, similar to Rocket Mortgage. EasySign gives Movement Mortgage customers the ability to electronically sign “most loan documents” before their scheduled closing date from home on the device of their choosing. This, they say, allows for more time and transparency so borrowers don’t feel rushed at the closing table. They can review documents on their own timeline and ask questions if they feel unsure about anything. Crawford also recently claimed that they take interest in borrowers paying off their home loans, instead of taking on more debt. Apparently they discourage folks from refinancing from a 30-year loan to another 30-year loan, which is known as resetting the clock. But they also advertise cash out refis on their website, so take it how you want. They’ve already done a lot in a short amount of time, and Movement Mortgage says it’s on pace to finance one in 10 homes purchases nationwide by the year 2025, so it’s clear they have lofty ambitions and expect to be a household name. Does anyone know how the grant funds are derived? Is Movement and other lenders that offer such programs actively searching for grant programs specific to each loan scenario? I’ve been wondering the same thing. I’m assuming it’s some government program because I doubt the lenders are footing the bill.